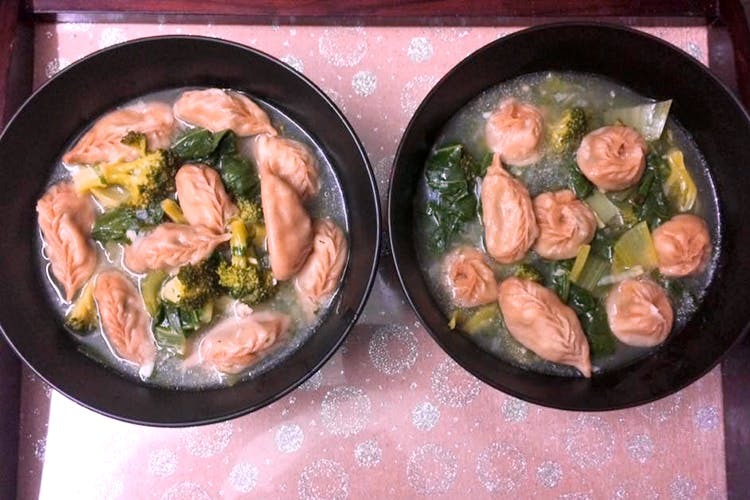 Craving for some authentic North-Eastern meals? Call up Pema’s Kitchen at Kalyani Nagar for some mouthwatering yet affordable food! Pema’s kitchen is a Tibetan delivery-only joint that serves a delectable range of ramen noodles, thukpas, soups and more! The humble one-page menu of this place features the best of North Eastern cuisines. We ordered the delightful chicken mothuk and stuffed veg tingmo from here. Priced at INR 290, mothuk comprised of delicate chicken momos dipped in mild chicken broth made of fresh herbs and spices. We highly recommend you try their spicy Naga pork for INR 320 and the khatsa, a combination of spicy fried chicken and pork. Call 7798488811/7218243811 and place your order. The place is quite small and has a very high demand. Make sure you call the guys well in advance to place your orders.